I have officially been given the crud that my youngest son developed this week so I’m going to keep this post short and sweet. I’m hoping with some rest and fluids it will pass quickly! Today’s card is a beautiful card I received from Bonnie Waterman. Didn’t she do a beautiful job? I just love all the glitter! 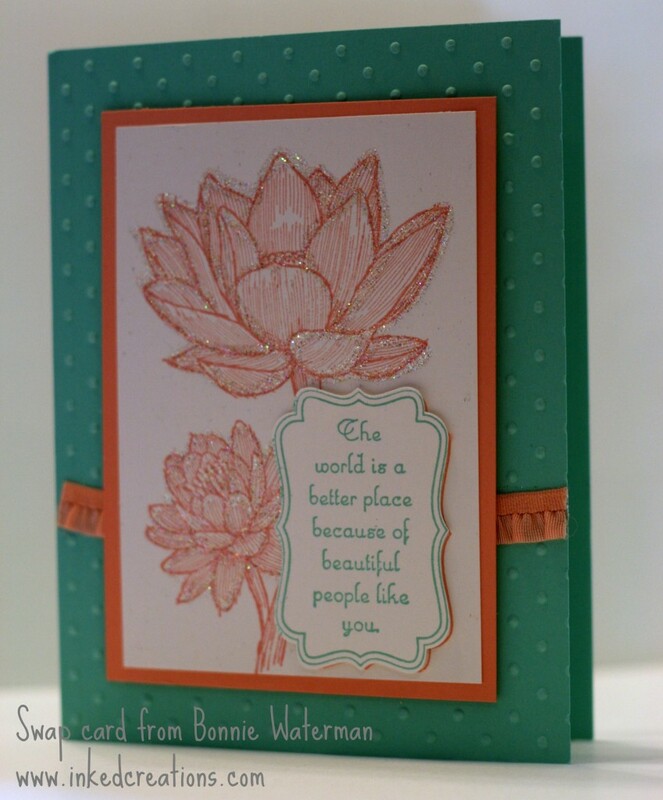 See my stamping supply links for more information on products used and links to my online store.